Harvard Family Physicians welcomes Dr. Brian Berryman D.O. Call 918-743-8200 to make your appointment. we care for patients with a range of illnesses and minor injuries. Your family’s health is our number one priority. Our family doctors get to know you and your loved ones, providing excellent care you deserve. We offer comprehensive obstetrical and gynecological care for women during every stage, from adolescence on into later adult life. The wellness of your child is important to us. Our physicians provide the most complete primary care throughout your child’s stages of growth. Harvard Family Physicians or HFP, is a dynamic group of physicians located conveniently in Mid-town Tulsa. This physician-owned and physician-managed organization came together for the purpose of providing high-quality medical care to the citizens of Tulsa. The physicians at HFP are committed to the highest standards of quality and comprehensive and preventative healthcare. Our current staff consists of twenty-one physicians that are Board Certified in their respective field. We’re pleased to welcome Dr. Brian Berryman as the newest member of Harvard Family Physicians! He will be seeing patients here at HFP starting March 1st, 2019. Call 918-743-8200 to make an appointment with him. Our caring and compassionate doctors are dedicated to giving you and your family world class medical care. 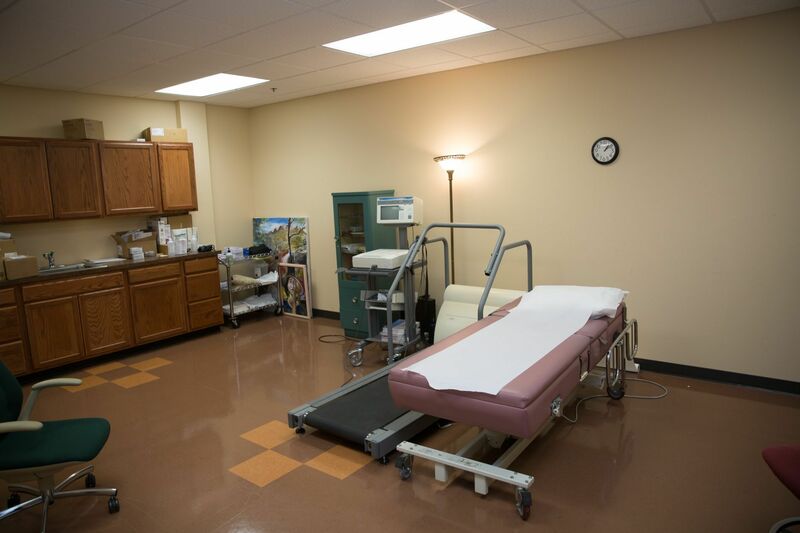 Conveniently located in the heart of the Tulsa community so that you are within reach of great health care. Our experienced team of physicians are recognized for providing Tulsans nearly 30+ years of superior health services. We provide a wide array of healthcare services so that our patients have the convenience of an all-inclusive healthcare center in one location. The diverse experience of our medical staff allows Harvard Family Physicians to be your comprehensive healthcare center. We provide expertise in allaspects of primary care, with specialities in Family Practice, Pediatrics,Geriatrics, Obstetrics & Gynecology, and Chiropractic. Our lab work is done in our in-house laboratory offering you the choice of doing your lab test and getting the results from the same location. If you need lab work done, we have a convenient in-house laboratory available. Lab hours are 7:00 am to 6:00 pm Monday-Friday and Saturday 8:00am to Noon. Please fast after midnight until after your visit. A cup of black coffee or water is acceptable in the morning. 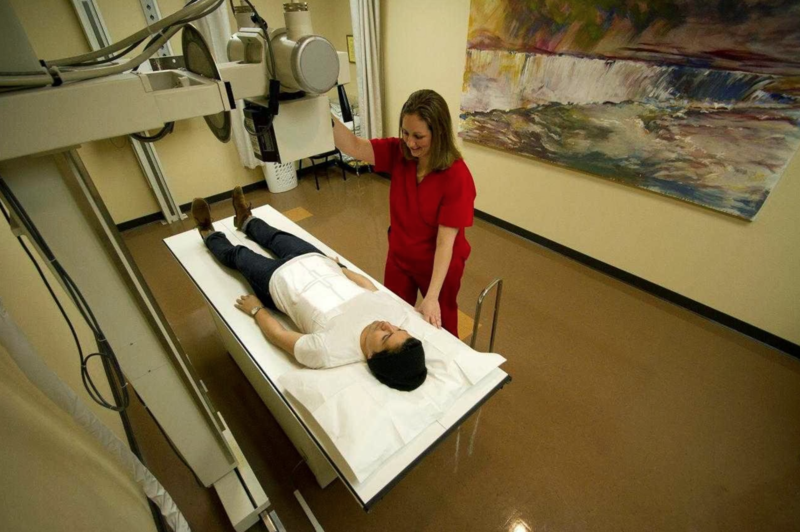 From CAT scans, ultrasound, bone density and retinoscopy our facility is equipped with the tools needed to assess your health and wellness. Great place. One stop shop – pediatrician, family care, OB/GYN, pharmacy, urgent care. Several doctors and physicians with very good bedside manner. Easy to schedule visits. I have been a patient of Dr. Sholl’s for about 20 years. He is thorough and attentive, sincere in providing only necessary medications. Sincere doctor and lovely staff throughout. They are keepers! Harvard Family Physicians became my new clinic three years ago when I moved to Tulsa from Norman, OK. A good family friend recommended the clinic and it has worked out very well. I believe that Harvard Family delivers professional, comprehensive world-class care with a “close-to-home” environment. Outstanding care with an excellent staff! Their web based Patient Portal provides an impressive record of care and test results that helps bridge the Doctor – Patient gap. Great place. Great staff. Have used this place for the last 5+ years. Same doctor wouldn’t change my primary physician for any reason. My primary physician is the best! I always get checked in quickly, and an average wait of 7 minutes to be seen. The front desk staff along with the nurses are extremely friendly.